I’ve had quite a few people write recently asking how they can give BeerSmith 3 software as a gift to a friend, relative or loved one for the holidays. Fortunately there is a simple way to do it – you can purchase a BeerSmith 3 gift code here which is redeemable online for a BeerSmith 3 license. 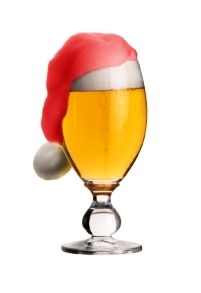 Purchase a BeerSmith 3 Gift Code here at the desired level – all licensing options are available. You will receive the gift code via email. You can print out or forward the gift code to your recipient. Your friend or loved one can redeem their gift code here using an existing BeerSmith cloud account, or by creating a new account and their electronic license will be installed in their account. That’s it – thanks again for supporting BeerSmith and I wish you and yours a very Merry Christmas, Happy Holidays and Happy New Year! BeerSmith 3 is Here – Happy Father’s Day!